I like Jarmer’s Kitchen, I like it a lot. It’s “a casual eatery celebrating family, friends and food” and it’s open every day serving breakfast and lunch and dinners (dinners Monday-Saturday). I’ve only been for lunch, but parking’s easy, it’s close to where I work, it’s relaxed and it’s the sort of place you can take anyone because the menu offers such variety. It forms part of the Bowden development and is in the site formerly housing Plant 13. It’s a different look now – there’s lots of white tiles, plants and plenty of natural light. Behind Jarmer’s Kitchen are Chris and Linda Jarmer. Chris is the son of chef Peter Jarmer who’s well known for serving good fare in Adelaide for many years. Chris used to have Air in David Jones and also opened Scool in Glenelg. Wherever possible, Chris uses seasonal produce and Australian-fed and grown meat, seafood and poultry. The menu’s divided into Starters, Sides, Lite, Comfort and Larger and there’s choice aplenty including salads, pasta, steak, crab cakes, arancini, burger, schnitzel, and even a hint of Asian. There are good vego options and daily specials too. 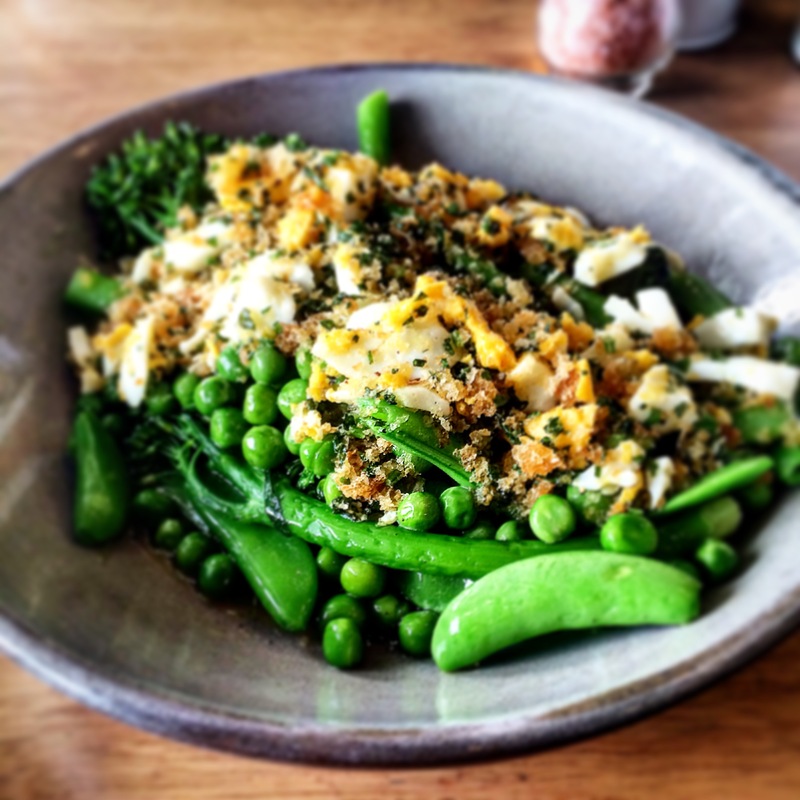 Some of my favourites– the Porcini aranci with Aoili, the Duck croquettes, and I love the side of Sugar snap peas, broccolini, peas and mint garnished with chopped boiled egg and breadcrumbs and parsley that I have as a main course. It swims in a bed of too much butter but once you drain it off into another dish, it’s great. The Asian beef salad is good too – the dressing is spot on. The servings are generous and the staff are friendly. If you’re after a relaxed dining experience with good quality food, Jarmer’s Kitchen is an excellent option. Once the Bowden precinct fills up with residents, it’s going to get a whole lot busier! And they have the best vanilla slice in Adelaide! I’ve been meaning to visit here for ages! I’ve heard lots of good things!